GNA University: Phoenix FCS Club organized an activity for Bachelors & Masters students of FCS. Phoenix FCS Club organized an activity for Bachelors & Masters students of FCS. 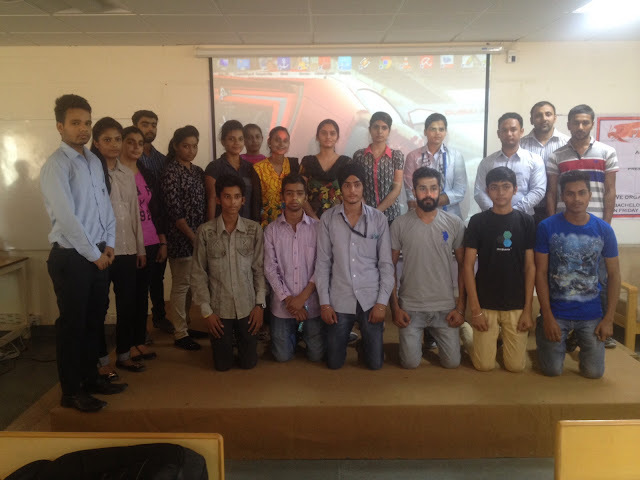 Phoenix FCS Club organized an activity for Bachelors & Masters students of FCS. The main motive was to enhance the student’s skills and performance, teach them leadership and team management skills by making them plan and organize activities like IT Quiz, Fun Games and Student presentation on latest technologies, Group discussion and Problem solving, Research and presentations, Interview skills and finding new events in local institutions, Creating blogs & FCS student newsletter & Best practices to design a website. Phoenix FCS organized Open IT quiz, Movie on Google office, Motivational movie (What is life).The students really witnessed the activities with great enthusiasm and wished to have more in the times to come. Guest Lecture on "Big Data Analytics and Hadoop"